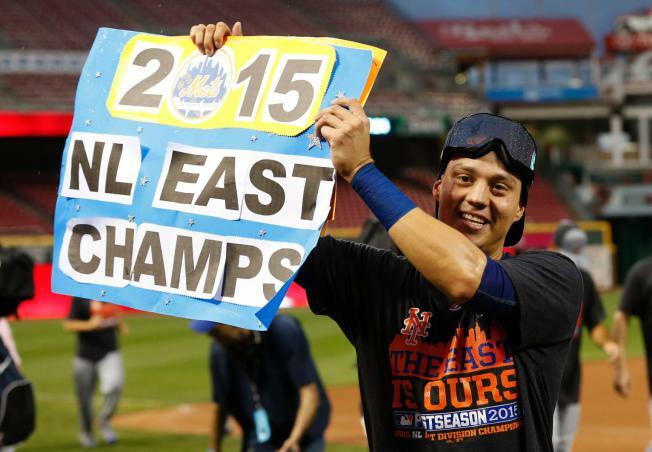 Congratulations to the 2015 New York Mets, National League East Division Champions. Picked to finish no better than third, in a division that was supposed to belong to the Washington Nationals, with a opening day starter well over 40, a closer that was suspended almost immediately at the start of the season, an ace coming off Tommy John surgery, a shortstop who never played the position before, and an veteran star who was projected to miss more than half of the season, the Mets overcame that and more to bring home their first division title in nine years. 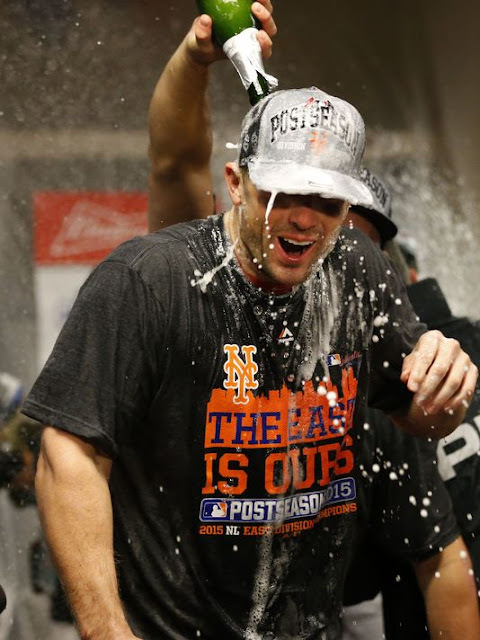 They started the season on a tear, cooled off after the All Star Break, made key trade deadline acquisitions, stepped on the throats and crushed the spirits of the Nationals, and then took off on a tear to take the NL East crown. They have shrugged off the naysayers, maintained a laser focus on their goal, put aside egos in favor of the team, and bonded as brothers. Congratulations to the NL East Champions.